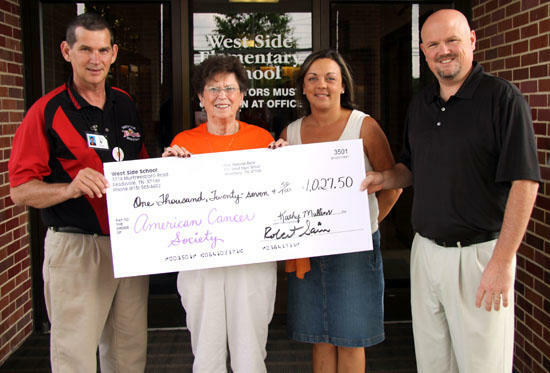 Students at West Side School raised more than $1,000 for the American Cancer Society. On hand for the presentation were, from left, West Side Boys Basketball Coach Roger Haley, Larimer, West Side basketball coach and teacher Carrie Miles, and West Side Principal Robert Sain. The Cancer Society's Relay For Life will be held Friday at Dillon Park in Woodbury starting at noon. The event is a fund raiser for the Cancer Society which includes a survivors walk, entertainment, food, special events, everyone is invited. 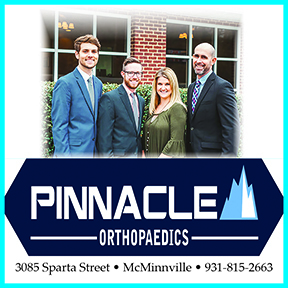 For further information call Larimer at (615) 563-2538.